Any update to your products and services is chock-full of technical details and features that get your experts excited. But turning that into collateral that makes businesses want to buy from you can be challenging. 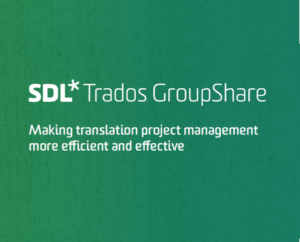 With a major update to its collaborative project management tool, GroupShare, in the works, SDL asked us to help create launch collateral that would reflect SDL’s focus on its customers. After a briefing session to understand the new features of GroupShare, we drafted compelling, audience-focused copy for two brochures that clearly articulated the business value of the new improvements in GroupShare. To ensure the launch reached all the right people, we also drafted copy for a landing page, and a series of email to existing customers and prospects. SDL’s existing collateral was product-focused and didn’t always connect with its audience to convince them of the business value of SDL’s proposition.